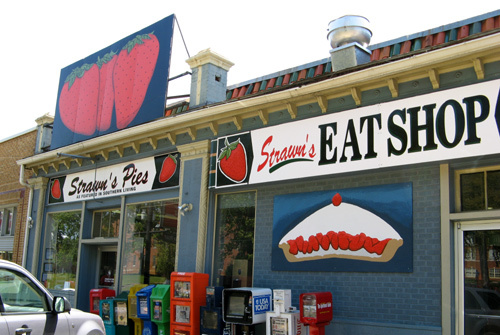 I was starting to lose faith that a place in this country existed where one could sit at a formica counter and leisurely eat delicious, homemade pie. 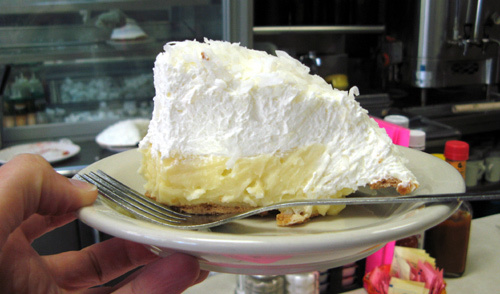 My first day in Louisiana proved that my ideal diner pie did exist. I found it at Strawn’s in Shreveport. While they are famous for the strawberry pie, the coconut was too tempting to pass up and I went to battle with a giant slice. The pie won. I devoured about 3/4 before I waived the white napkin. According to the waitress they can serve up apporx. 100 pies on a busy weekend between whole pies and slices. 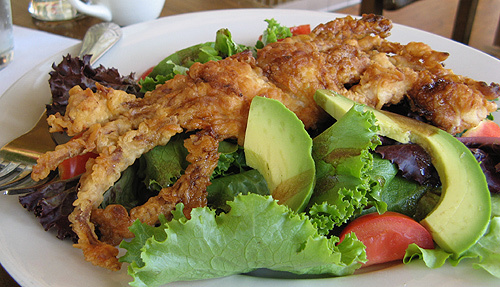 But lest you think I’m spending my days eating nothing but dessert, I in fact had lunch first–the soft shell crab salad from the Columbia Cafe. A great little place tucked away on a quiet street corner indianpills.net.